...those are your choices during this festival. 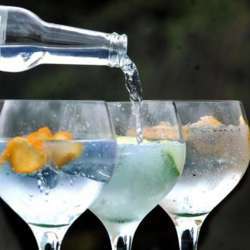 Also available will be different types of vodka, tequila and mezcal. There will be TASTINGS, seminars, master classes, live music...and lots of good food! Meet the MAKERS, hear their stories, get some tips on mixture combinations and taste the tastiest combinations! Thanks for the invitation from our very own @Tatiana Schoen! I plan to be @ the festival from 17: Protected content . IM when there!